Lots of color will greet you in this oceanside condo. This condo has a big kitchen for those who like to cook and entertain. 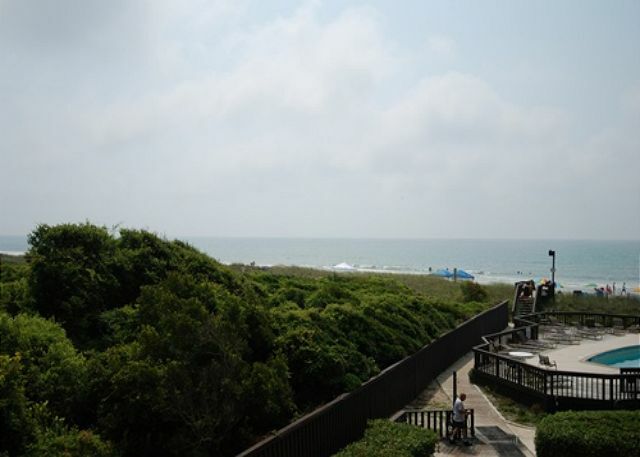 Great view of the nature preserve and beach. This unit is located on the Northside of the Ocean Front building. This condo allows pets during the off-season (mid-September through mid-May). This condo is equipped with a King in the master bedroom, Two Twins in the guest bedroom and a Queen Sofabed in the living room. This condo has a 39" TV with a DVD player in the living room, a 24" TV with a DVD player in the master bedroom and a 23" TV in the guest bedroom.